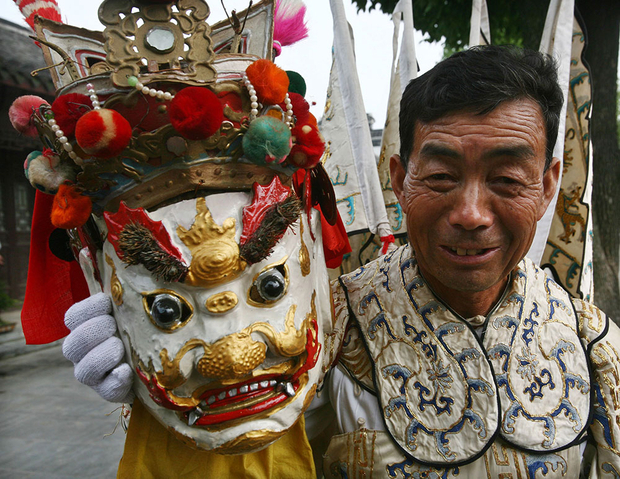 A villager displays a traditional mask used to to drive away evil spirits and pray for good luck during the performance of the ancient “Tiaowuchang” dance in a ceremony to mark the Duanwu Festival in Gaochun County, Jiangsu province. When Ernest Hemingway somewhat presciently referred to Paris as a movable feast (“wherever you go for the rest of your life, it stays with you”) he captured the concerns of the long-term expat rather concisely. So why does everyone like to compare life in Beijing to Paris in the 1920s? And what are the writers in our midst producing? This week on Sinica, Kaiser Kuo and David Moser are joined by the editors of While We’re Here: China Stories from a Writer’s Colony, a compilation of short stories, poems, and more that have been lovingly assembled by Alec Ash and Tom Pellman of The Anthill.